Recent work- Transformation #1 has been chosen by Nora Atkinson, the Lloyd Herman Curator of Craft at the Renwick Gallery, Smithsonian American Art Museum, to be part of this exciting exhibition. Shanye Huang's painting “Fusion Series # 8” has been selected by Dan Mills, Juror for MFA’s open-juried MD Art @ College Park exhibition at The Art Gallery, University of Maryland College Park. Exhibition date: June 14- August 2. Artist Reception: Friday, June 28th, 6-8pm. NEW VISION at the Ratner Museumfeaturing the art of Shanye Huang, Susan A. Lennon, Natalya Borisovna Parris, Charles Reiher, Ronald Riley and Judy Wengrovitz, from February 28 - March 28, 2013. The reception is Sunday, March 3, 2013 from 1:30 - 3:30 pm. While Shanye Huang was in China in September, due to his unique contribution in taking his ethnic Culture to the world platform through his art, Guangxi TV Station began filming a documentary about his journey of art as one of their special programs. The Filming team came to his studio in Maryland in December, 2012. The documentary has began its first broadcasting on the Chinese New Year's Day nationally and internationally and will be re-broadcasted on March 10th at 22:00 via Guangxi TV to its national and international channels. 3-Generation Art Exhibition - The exhibit includes artworks by the artists K. weijie Huang (grandfather), Shanye Huang (father) and Etian Huang (son) - three generations of Huang Family. K.weijie Huang (b.1930-) puts his love for birds and sceneries into his paintings. Shanye Huang, taking inspiration from his native Zhuang ethnic culture, creates images that express appreciation of love, blessing and harmony through symbols, metaphors, figures, Chinese calligraphy and Yin-Yang philosophy. 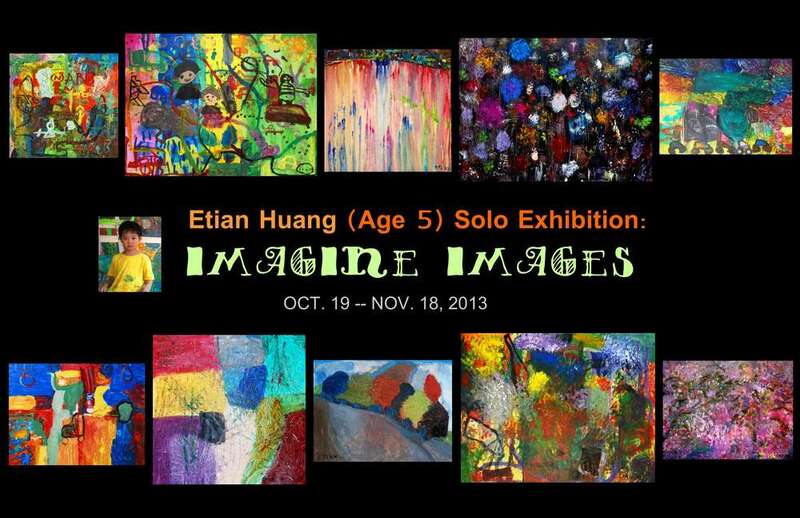 Etian Huang, born in 2008, loves to draw and paint since he was able to hold his pencil and brash. 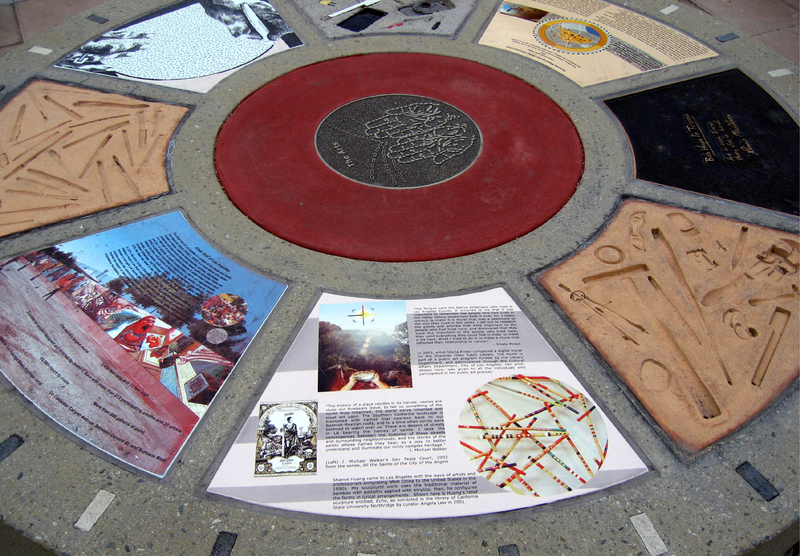 It is not only a joy of play but also a creation with a sense of deliberation. Exhibition Of Overseas Chinese Paintings & Calligraphy - Artwork "The Trees and Vines Intertwine" has won the Award of Excellence in the exhibition held at the National Museum of China from Sept. 14 –20, 2012. Shanye was invited to the opening ceremony and the related art exchange events in Beijing and ChengDe. Artwork “Power in Harmony” was selected to the Exhibition-- "Celebrating a Most Auspicious Animal: 2012 Year of the Dragon" at the Gibbs Street Gallery, VisArts in Rockville,155 Gibbs Street, Rockville, MD, 20850, United States. 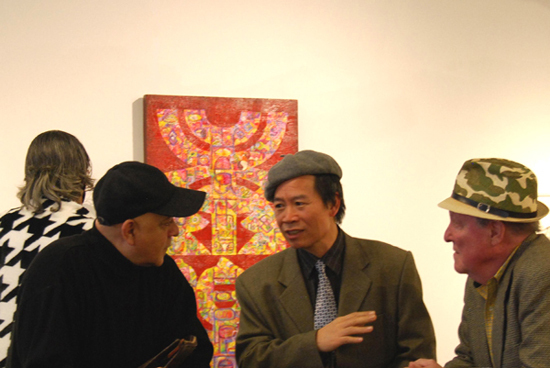 Exhibition Date: Jan.9 to 26, 2012. 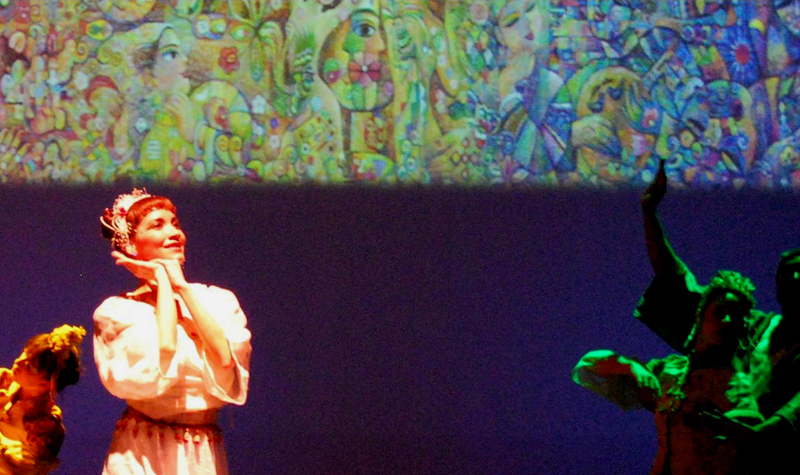 In October 2011, a Ballet Dreaming On The Zhuang Land adapted from the original Ballet Spring Song Dance based on Shanye Huang’s artwork Tapestry of Dreams was invited to perform in the 13th Nanning International Folk Song Arts Festival. Here is one of the video clips to show a glimpse of the Festival. 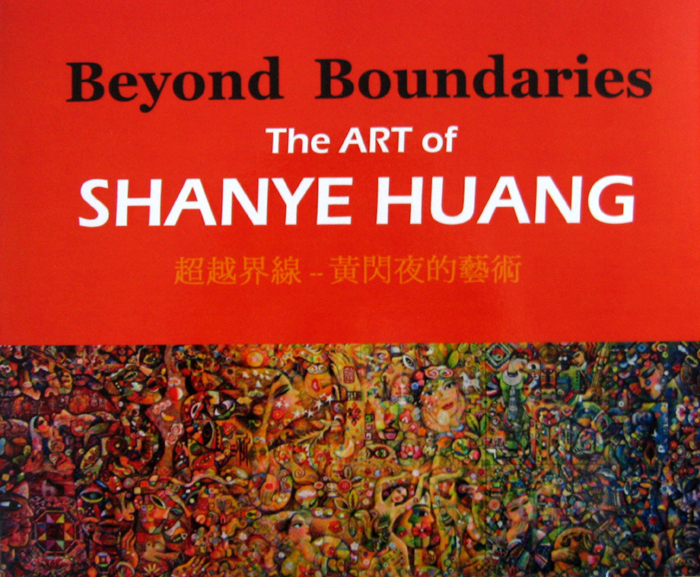 Shanye Huang Solo Exhibition: BEYOND BOUNDARIES - The ART of SHANYE HUANG has received lots of compliments and attention from many viewers, and was a great success. Welcome to view a glimpse of the show at the Photo Gallery.